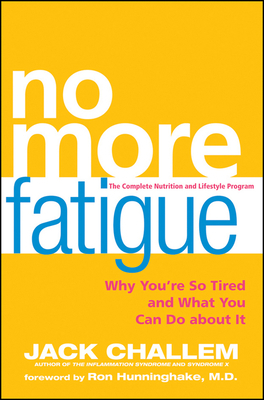 With No More Fatigue, you will rediscover the joy of feeling well rested, re-energized, and ready to take charge of your health and your life. JACK CHALLEM is a leading natural health expert and the author of The Inflammation Syndrome, Stop Prediabetes Now, and Syndrome X. Challem publishes the Nutrition Reporter, a renowned newsletter that highlights the latest cutting-edge nutritional research from around the world. He runs a private nutrition coaching practice and lectures worldwide.